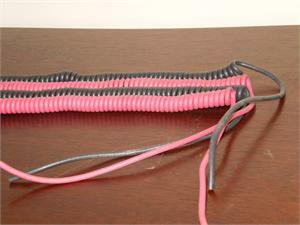 Description: Coiled kinkless test lead wire stretches 5:1. 12" stretches to approximately 5 feet; 24" stretches to approximately 10 feet. 12" has 12" tangents; 24" has 6" tangents. One conductor # 20 AWG stranded copper, rubber insulation. Retracted Length 4Ft., 2Ft. - Extended Length 20Ft., 10Ft. Multi-Conductor stranded extra flexible #23 AWG 21/36 tinned soft copper for long life. Neoprene or TPE (Thermo Plastic Elastomer) jacketed cable, 300 volt max. working. Retracted 2, 3 & 4 Ft.- Extended 10, 15 & 20 Ft. Multi-conductor stranded extra flexible #23 AWG 21/36 tinned soft copper for long flex life. "Danyon" plastic jacket overall. 120 volt working, current carrying capacity 1 amp. UL Rated, Retracted 4 Ft. Extended 20 Ft. Single and Multi-conductor, color coded, Shielded mike Cables. TPE or Neoprene jacketed. Shield can be pigtailed for soldering. TPE and Neoprene offer oil resistance and are flexible at lower temperatures. Danyon Plastic Jacket, Retracted 1, 2 & 4 Ft. Extended 5, 10 & 20 Ft. Single and Multi-conductor. Shielded mike cables. Conductors are color coded. "Danyon" plastic jacketed; shielded conductors are individually shielded to 90% coverage. 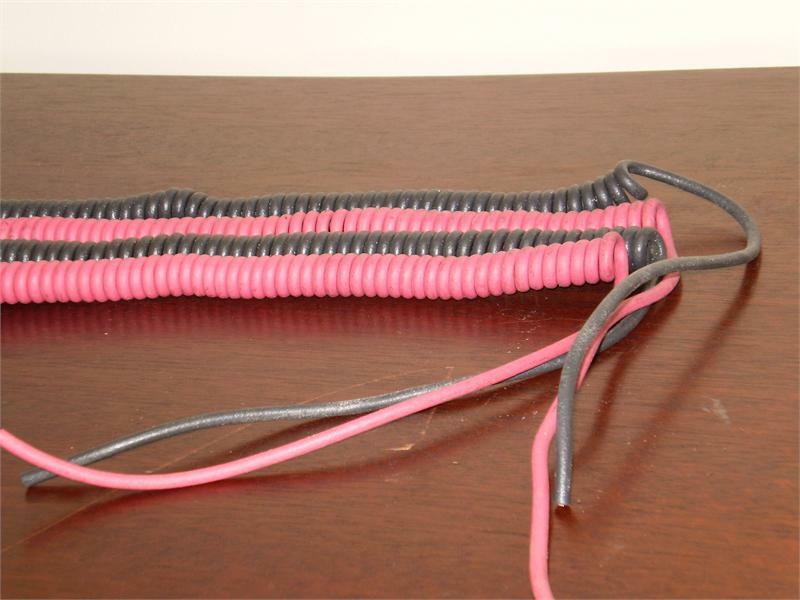 Retracted 1, 2, 3, 4 Ft. / Extended 5, 10, 15, 20 Ft. Shielded communication cords 23 AWG 21/36 soft tinned copper with min. 85% spiral T. C. shield coverage. Black "Danyon" Plastic jacket overall. Six inch tangents on 2, 3, & 4 ft. Cords.